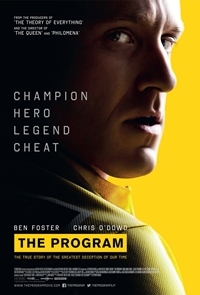 Foster plays the infamous American cyclist, Lance Armstrong, in this biopic based on journalist David Walsha��s book, Seven Deadly Sins: My Pursuit of Lance Armstrong. It follows Walsh in his journey to uncover the truth behind Armstronga��s success. Tara really innocent or guilty A�as charged? Did you know: The movie was titled Guns Na�� Roses initially. A remake of the Korean film My Dear Desperado, the movie is a romantic comedy. It has Sethupathi playing the lead, a gangster who falls in love with Sebastiana��s character. Did you know: Producer CV Kumar bought the rights for the film for about Rs 40 lakhs. Egypt falls in grave danger when the throne is overtaken by the God of Darkness, Set (Butler). Bek (Thwaites), a mortal, decides to take matters into his own hands and along with the God Horus (Coster-Waldau) wages a battle which decides the fate of Egypt.A�Did you know: Butler and Coster-Waldaua��s sandals, as admitted by Butler, gave them blisters and were more painful than bruises endured while filming action. .
Not every singer gets a chance to record their first song with A R Rahman. Mohammed Irfan rose to fame in no time after veteran singer, S P Balasubrahmanyam recommended his name to the Oscar winning music director. The 31-year-old singer would be performing in his hometown for the first time after a decade since he moved to Mumbai for pursuing his career as a playback singer. Describing his emotional connect with the city of Nizams he said, a�?It is a special connect when it comes to Hyderabad. All my life I was there before I moved to Mumbai. I learnt music from my guru Ramachari in Hyderabad. My basics in music are from Hyderabad.a�? He has seen the transformation of Hyderabad to become one of the most popular hubs for cultural festivals in India. Speaking about the changes in Hyderabad the singer said, a�?It has become a much better place. But still I think people are fond of listening to Telugu songs and it is absolutely fine as there is a huge following. There has been a lot of changes there and people now have began demanding for Bollywood songs too.a�? The Jo Jeeta Wohi Super Star 2 winner will be in the city for a live concert. 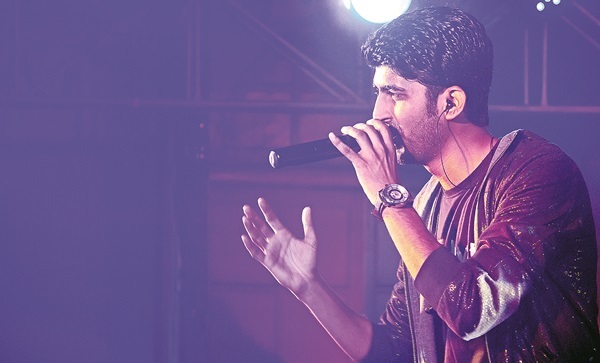 Expressing his excitement the Behne De singer said a�?This is the first time I am performing in Hyderabad. It is very strange. I have performed in India and abroad destinations like Holland London and Dubai. However, this would be the first time I would be performing in my hometown. I am really looking forward to it. I have also made changes to my arrangements.a�? Every singer has a playlist that they sing. Speaking about three songs that Irfan would be singing in Hyderabad he said, a�?Tum Hi Ho from Aashiqui 2, Banjara from Ek Villain and Dard Dilon Ke Kam Hojate from The Xpose.The singer would be travelling to Surat, Nagpur and Dubai after his concert in Hyderabad on March 12 at Rendezvous in Financial District, Gachibowli. Tickets available at meraevents.com. Price `1,500 per ticket. 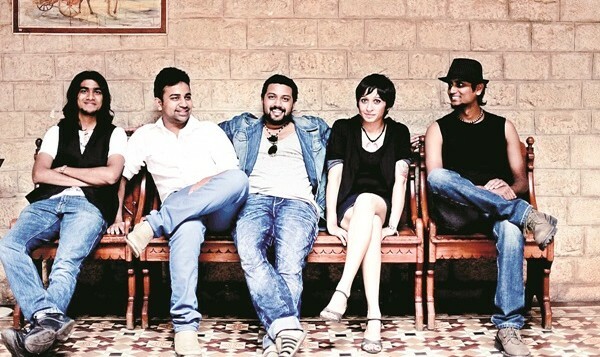 The thought of combining rock music with the traditional Indian folk music made Geeth Vaz, Vinyl Kumar and Edward Rasquinha expand their rock band – Fahrenheit into Lagori along with Shalini Mohan and Tejas Shankar. The five member band has Geeth (28) and Edward (28) on guitar, Vinyl (28) on the drums, Shalini (31) on bass guitar and Tejas (28) on vocals. Lagori would be in the city as a part of the Red Bull Tour Bus and would be performing at the Chaitanya Bharathi Institute of Technology, Gandipet. Visiting Hyderabad for the seventh time, Lagori members are excited to perform in front of their audience and also reslish the famed biriyani. 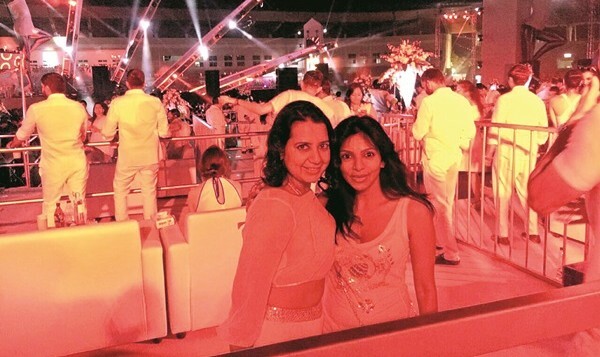 a�?We love performing in Hyderabad as they’re a great audience who love to have a ball. So coming back to them is super exciting. Also, the biryani. We love it,a�? said Tejas. 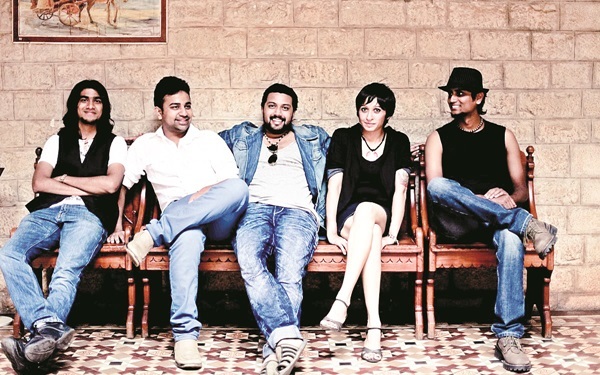 The Bengaluru-based band categorises itself under the a�?Happya�� genre. About the name, they said, a�?We like tagging ourselves under our own genre, called the ‘Happy’ genre. Because our ultimate aim is to spread happiness through our music. Try and put a wide smile on the faces out there, through our Indian rock laden sounds.a�? Apart from their happy, soulful and energetic music, Lagori rose to fame after performing in the middle of Brigade Road in Bengaluru during the busiest hour. Speaking about the important pit stop in their journey so far, they said, a�?There are a lot of moments and breakthroughs which have gotten us to this stage. But performing in Brigade Road on top of a showroom during peak hour traffic that put us on the map where thousands of random bystanders sang our songs.a�? Lagori is known for its eclectic style of mixing Indian folk with rock influences. Emphasising on how each member adds their own quotient to their songs, Tejas Shankar said, a�?Our mix is a bit different from the convenient method or mix, because all our musical styles have been influenced by completely different genres. If Vinyl (drummer) and Geeth (guitarist) bring in the heavy classic rock element, Shalini (bassist) brings in her funk influences, whilst Edward (guitarist) brings in his country music influences and me (Tejas) on the vocals try to fuse all these influences with my Indian classical or tonal influences.a�? The audience in the city can surely expect Lagori to perform their top tracks like Ni-Re-Sa, 30-60-90 and of course Boom Shankar. a�?Along with the singles, we have a big collaboration surprise for our fans which will be revealed soon,a�? they concluded. When Lord John Montagu, fourth Earl of Sandwich, Britain ordered his valet to bring slices of meat tucked between two slices of bread everybody else started ordering a�?the same as sandwicha�� and from then this sandwich has become part and parcel of a gourmanda��s table. And when chefs from different corners of the world toss different ingredients and slices of cold meat between loaves of bread it turns into a food festival. a�?Between the Sheetsa�� at Arena, Taj Deccan is one such celebration. This sandwich food festival will continue till March 17. Timings are between 11 am-11 pm. 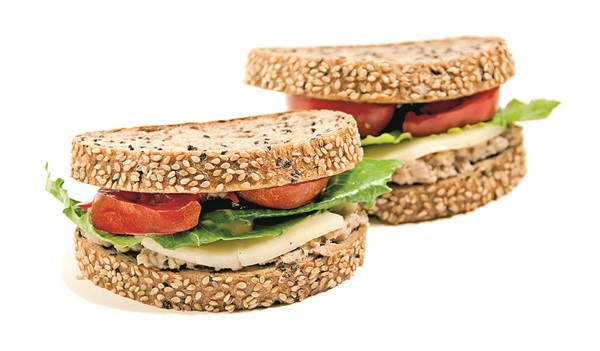 The exotic range includes dill bread layered with smoked salmon and caper, water chestnut with cheese melt. How often have you felt drained in the middle of long six-hour meetings in a boardroom? Often! Right. Well, thata��s because for continuous hours of focusing on the trainera��s slides without eating anything. No wonder your energy levels dip, leaving you exhausted and when finally you take that heavy lunch it makes you feel more uncomfortable. 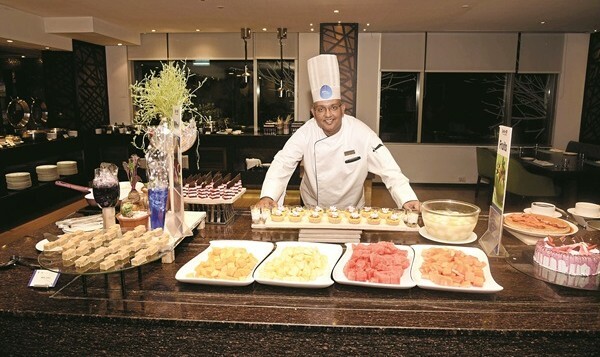 To combat that Radisson Blu Plaza Hotel Hyderabad, has launched Brain Food. The entire package is better known as Experience Meeting that consists of specific board-room settings and, of course brain food. Any typical board meeting or training sessions starts from early morning and continues till evening. The brain-storming sessions demand high-energy levels and hence the food has to be kept in accordance. 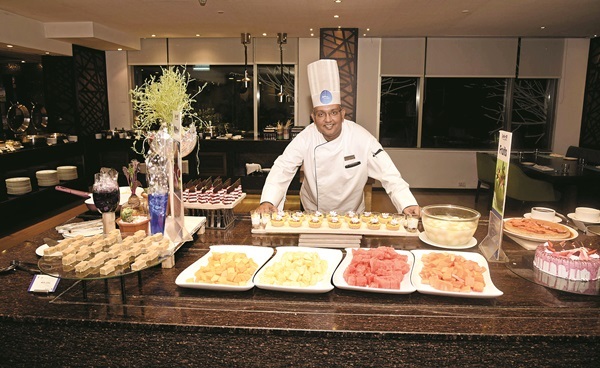 Says chef Chandra Shekhar, Pandey a�?The idea is to keep the health quotient high. We prepare food that focus on less sugar and fats.a�? The brain food is designed according to the guestsa�� requirements as well. Adds the chef, a�?For breakfast we arrange for egg stations. The guests can come and choose their style of omelettes, poaches or boiled eggs. We usually arrange croissants as well that can be whole wheat and multigrain.a�? In bread category they have hard rolls, gluten-free bread, multi-grain bread and even naan. So when a group of 10-15 business people sit in a closed room, how is the nutrient loss replenished? 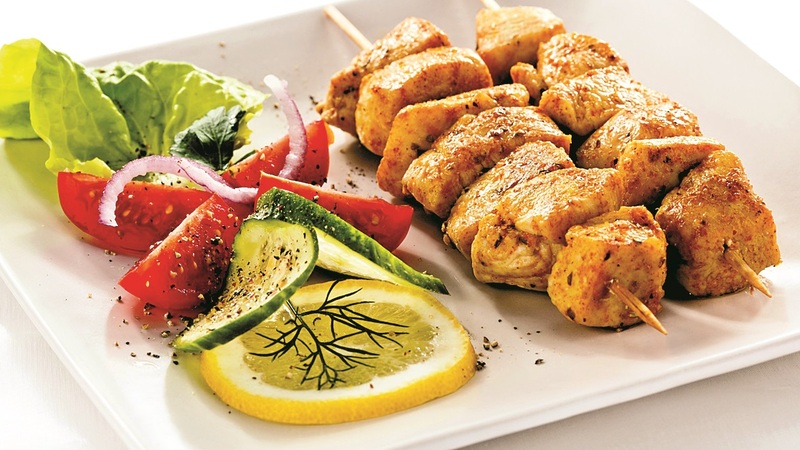 Research shows that acetylcholine increases concentration levels and alertness found in fish and chicken.So the chef has come up with varieties like steamed or grilled fish fillets with caper and lemon, poached fish with cream and parsley. He uses snapper , king fish and murrel. He prepares grilled chicken with pokchoy and asparagus, roasted chicken with glazed carrots and button onions, stir-fried chicken with ginger-wine and chicken stew with root veggies like leek, celery and turnips. Long hours also lead to sugar crash in the system so to avoid this tidbits are served during the meeting or training sessions. Chef shares, a�?We send flavoured chocolates like mint, hazelnut and rose-petals.a�? He also serves blueberries as part of tidbits as the same is very high in antioxidants and helps prevent brain cells breakdown. Along with that they also offer water flavoured with lemon and mint, parsley, basil and even dill. But are these enough to keep the alertness on? a�?We have more items such as stimulants like ice tea flavoured with peach, apple, pomegranate, ginger and lemongrass. There are mini tea-breaks every three hours. Chef serves salads without heavy dressings, apple tarts made with honey, dates chikki, fig with nuts. Wraps are also served with salad. The lunch consists of two non-veg dishes, two veg dishes, one rice preparation, three types of salads, and soups. The cost is around `1,000 per head. Every rider loves his ride. 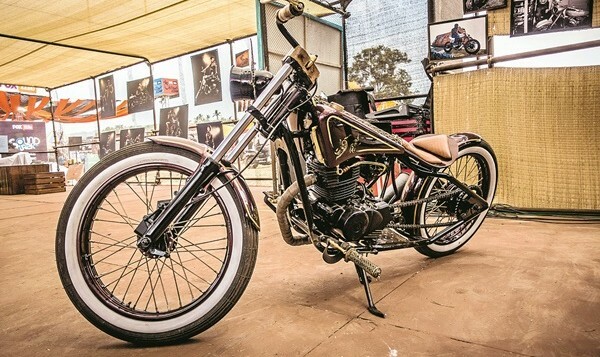 For some, bikes are just a mode of transportation but for a few like Mohit Chawda, the frontman at Deccan Custom Motorcycles, bikes are passion and customising them gives them a high. a�?I design bikes according to the clients character. It is like writing a poem you need to know the subject really well,a�? says Mohit. He was recently selected for the India Bike Week in Goa where he presented his personal bike, Shaheen. wConsidering cars have become more expensive post-Budget, perhaps ita��s time to for a customised bike by Mohit. Deccan Custom Motorcycles is just 50% of Mohita��s life. He is the manager at Kawasaki Hyderabad in Kachiguda. He takes at least two months to work on a bike. Here are a few beauties modified by Mohit. At the very first look, no one would believe that this beauty is made out of an Avenger 180 cc. Shaheen is Mohita��s bike which was made for the IBW in Goa. The bike is transparent and has all wires concealed unlike other bikes. The engine is kept intact without much modifications, but the rest of the chassis is completely handmade by Mohit. Shaheena��s handlebar has teak wood grips and the exhaust is fit with the tail lamp which is very unusual. The tail lamp is made out of nothing else but a gas burner. This was Mohita��s first official project. Keeping his principles of designing the bike according to personality intact, Mohit designed this Avenger 220cc bike into a black beauty. a�?Only the engine was kept the same way. The rest of the chassis from dual headlights to 80 spoke rims everything was designed,a�? says the 23-year-old. The single-seater ride has twin head exhaust with a matte finish black fuel tank. The tires look unchanged, but the shock ups gives the rider an amazingly comfortable ride. The Royal Enfield Thunderbird 500 cc #Rudra is named after the ownera��s devotion towards Lord Shiva. 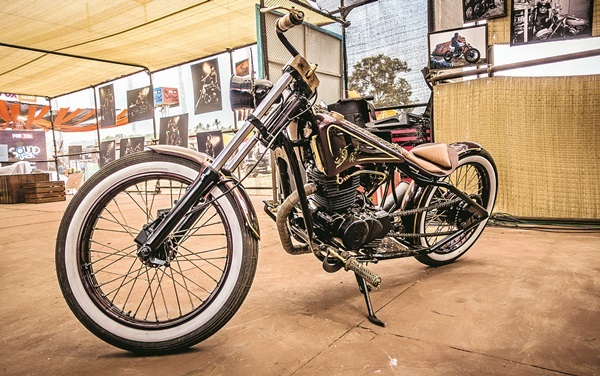 This bike has the engine of Royal Enfield, but the handles, mud guards, tires and footpad are all handcrafted by Mohit. The key looks like Lord Shivaa��s trident. This single-seater has a digital mud guard which reads #Rudra when ignited. Vaayu, yet another encounter with Royal Enfield Thunderbird 500 cc, has a smoked head lamp upfront and apart from the projector LED corona ring head lamps that comes with a Thunderbird 500 cc. With twin LED focus lights, it also has blacked out turn indicators with hazard light switch. The rear tire becomes the front wheel and vice-versa to give it a more muscular look. Sensation concert at the Gachibowli Stadium last Saturday definitely proved one fact – the citya��s love for music and the discipline of Hyderabadis. It was a night which witnessed a sea of humanity – all dressed in sparkling white and tapping their toes as if there is no tomorrow. Charul dressed in white chose to break the monochrome palette carried a yellow fur swirl around her and it was a good twist. Padma dressed in a white netted silk top paired with white trousers sported a chic look, like a style guru who known when to switch roles – from meaning business to when to let her hair down. Maya in a white silk gown was determined to be nothing but classy. 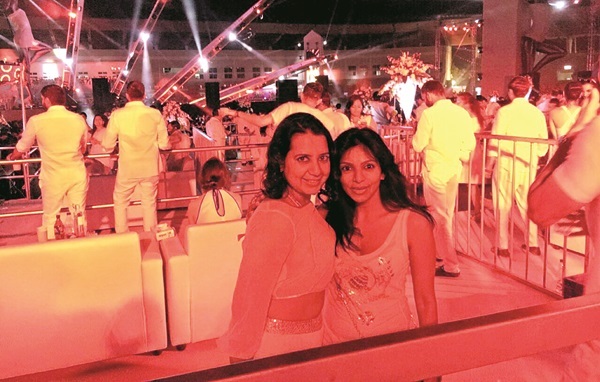 Bindu, in a white tee paired up with a white denim, sported a happy-go-lucky look. The entire effort of putting this commendable effort kept the energy and dancing spirits of the Hyderabadis alive till 4 am. The city also witnessed a spate of women-centric events to celebrate the International Womena��s Day. The Girl Rising Initiative on International Womena��s Day at the AISFM school witnessed the young girls dressed in casuals and tees supporting the cause of girl child education. Anika was dressed in blue saree while Dr Manjula Anagani draped in shades of yellow and green silk were the faces of strength and success of feminine energy. the smiling divas who radiated their affection in the FICCI YFLO event in the city. Anju Jain, dressed in green, accentuated with touches of satin and a balanced accessory, mirrored simplicity and poise. Mourya Boda, dressed in pastel pink with embroidered flower top and the curl locks, looked radiant next to the Bollywood entrepreneur-diva-fitness guru Shilpa Shetty Kundra. The sum total of the week was a tribute to the different shades and roles of womanhood. The city saw it in varied hues, moods and events. ICC T20 World Cup has caused cricket mania again in the country. Watch the live match between Netherlands and Oman in the afternoon and catch the action of Bangladesh Vs Ireland in the evening. The matches are being held at Dharamsala stadium. Time: 3 pm and 7.30 pm respectively. No amount of Instagram filters can do justice to the idyllic island of Phuket. If you want to experience life on secluded islets where time seems to slow downa��as you walk along sandy beaches and swim in the cerulean sea that redefines the phrase a�?crystal cleara��a��you can find it here. But I discover that Phuket (pronounced a�?poo-keta��) has many opulent pursuits to offer, too, while staying at the upmarket, northern peninsula region of Bang Tao, at the Dream Phuket Hotel & Spa. Developed by hotelier Vikram Chatwala��s Dream Group and Singapore-based Castlewood Group, the five-star luxury hotel incorporates 174 guest rooms, suites and villas (priced from Rs 18,255 – Rs 73,400) into its multi-award winning eco-friendly architecture. But before I explore the property, I head to their world-class Sanctuary spa, to nurse my jet lag with an invigoratingA� Thai massage. Next, I take a five-minute trip to spend my first day in Thailand at Phuketa��s most exclusive beach-front club, Dream Beacha��where contemporary New York chic meets a 2,000 sq ft tropical retreat at Layan beach. a�?I am thrilled that Dream Beach, together with leading global night life brands, Ministry of Sound and Hed Kandi, is committed to bringing the biggest names in dance music (think Pete Tong) to these shores,a�? explains Castlewooda��s CEO Chris Comer, adding that they intend to host the best and biggest after-hours Ibiza-inspired club nights at the recently-launched club. Before you leave, be sure to try Asiaa��s most expensive burger, the `57,047 Dream Beach Burger (with wagyu beef, black truffle cream and duck foie gras, served on a bun with gold leaf). On day two, I decide to check out the property. 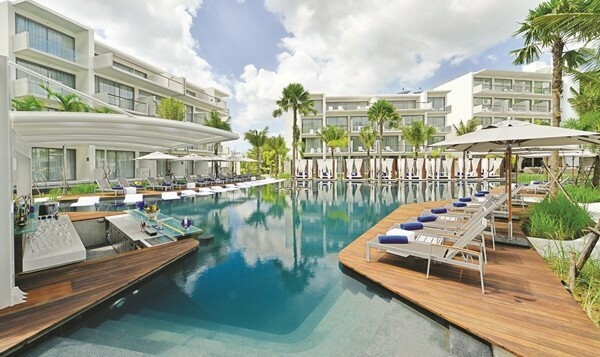 It soon becomes evident that Comer (who was heavily involved in the design process) steered clear of traditional Thai elements, like pagodasa��while integrating the indigenous landscapea��to create a sheltered haven with swim-up pool bars, private cabanas and a lush leather jazz lounge called Indulge that serves over 200 new and old-world wines. What I love the most is the New York-style grill and modern Thai fare served at their signature restaurant, Trilogy, where three Michelin-starred chefs, including Giovanni Luca Pirro, engineered the menu. Love watching UFC on TV? Book a ring-side VIP seat and enjoy watching a real free-for-all Muay Thai title fighta��referred to as the big daddy of UFCa��s mixed martial arts stylea��every Monday, Thursday and Saturday night. VIP tickets at `3,422 (includes a pick and drop from the hotel).